Ok so I'm in the market for some coilovers and I found some FUNCTION & FORM TYPE-1 COILOVERS for like $650.are these any good? They are pretty good. Although Koni Yellow + GC's is a better choice in my opinion. I personally love how my F&F type 1's feel. You can see my page to see how low i got from it. Its stiff but not too stiff to the point that it gets too uncomfortable. Theres almost no lean when turning or dips when stopping. too me its the perfect suspension for a daily driver. Yea man your car is fresh and that's how I low I want my car..
Moe24, are you just looking to lower your car for looks, performance, or both? As for a camber kit. It is totally not needed. When you lower your car just get an alignment to adjust your toe. There are many things you need to figure out to determine what you need to buy when upgrading suspension. Lets figure out what you are looking for. yeah it all depends on what your looking for, style, performance or both. padovakid22 on here has koni yellows with ground control coilovers and it rides amazing. he is almost all the way lowered and its still handles excellent. Well I'm looking for street performance and looks. Like the other day I was on the hwy doing 90 and I came to this small turn and it almost felt like I was about to lose control..i really don't know how to explain but I was riding on stock suspension..I guess what I'm really looking for is performance on a budget.lol.. The F&F type 1 or 2 will be good for what you are looking for then. There are plenty of options out there you can look into but for what you explained those would be what I would go with. I personally have the type 2.5 and love them so far. O yea when I say budget..I have $1000.00.$650 for the coilovers.so that leaves me with $350 to spend.what can I spend that on? Check all your ball joints/boots to make sure they are good. Make sure there is no play/wiggle in them and if the boots have cracks and are loosing grease replace the boots and put new grease in them. Also check your tie rod ends and if they are wore out replace them. You will also need an alignment after you put your coilovers on so save some cash for that. I've got Tein "Super Street" dampers/coilovers. $1,300. They ride nice, they better have for that price, haha. I've had them for several years though...I think I may want to get new ones. i would go for the function form type 2's if you have the cash to spend, if not type 1's are just as good. 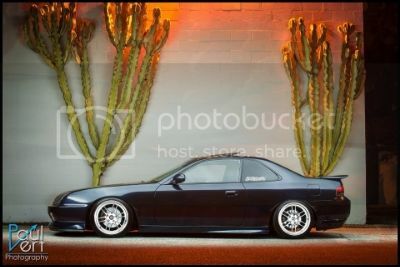 i run the function for type2 coilovers, and they are awesome for street and auto x use, nice stance as well. Just ordered some F2 type 2 coilovers. i have heard good things about them. Ground control and komi yellow are the best IMHO.